I understand that JotForm is not PCI Compliant at this time- can you tell us why that is? Update: JotForm is now PCI DSS compliant. We have PCI Service Provider Level 2 certificate. 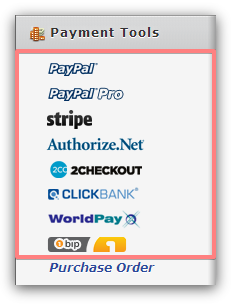 We'd happy to provide certificate to any users who would need it for their payment gateway. Just contact our support team. The main reason is that the JotForm builder was never designed for credit card data collection on our servers. We do have SSL forms, and we care a lot about security, but we recommend to use integrations with third party providers for secure online payments. In other words, our service is completely secure in terms of online payment forms, since we do not store the credit card data on our servers. are not exposing our customers to vulnerability of identity theft. Our payment integration API's are provided by PCI compliant services, which means that we do not process the information, it is transmitted securely according to set standards by the payment service to their servers. Some of the API's use sophisticated methods to collect and encrypt the information. - Using an SSL encrypted link to share your payment form - this is to prevent XSS and spyware from reading form input from a compromised browser. Losing PCI-DSS compliance is possible if the information were logged on our servers, but it is not. Even from our back-end access - we have no access to CC information submitted. Our API's transfer the burden of complicance to these services through the API call. Does this clarify things? Please let us know. That answers my questions :) Thank you!